My last post about how to handle SOAP headers was done with PHP 5.3.5-1ubuntu7.7 with Suhosin-Patch (cli) (built: Feb 11 2012 06:22:51). I tried to run the same installation on PHP 5.2.3 and it failed to handle SOAP headers. Documentation on php.net is a bit lacking of details about this. Even after an extended search with friend google, I’m still not sure if it is some flaw in the installation or if PHP 5.2.3 simply cannot yet handle the SOAP headers. 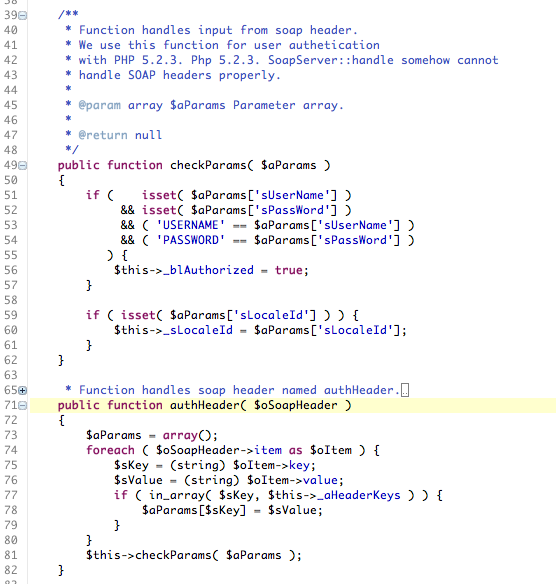 So what we can do in this case, is to extend the PHP SoapServer class and add our own handling function. The standard SoapServer::handle function is usually called without any arguments. In this case it is assumed, that the SOAP request data can be found in $HTTP_RAW_POST_DATA (php.ini setting always_populate_raw_post_data must be set to true for this) or by reading php://input. For this we simply extend class SoapServer with out own class, grab the request data before calling handle, parse request for authHeader, make a new SOAP object and use the extracted info for user authentication or whatever we want to do before the real handle starts (call to hrapp_soap_soapclass::checkParams). 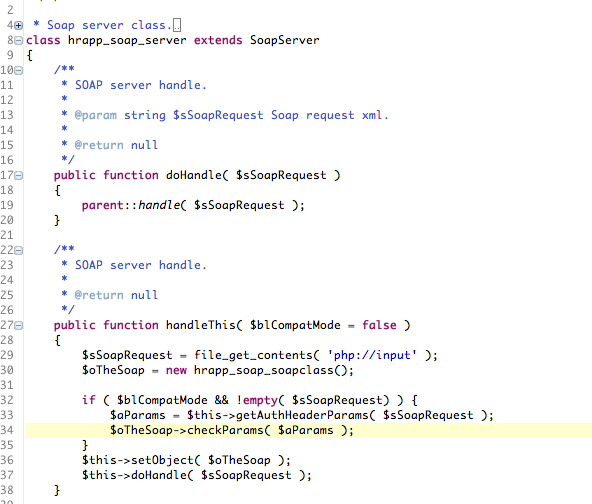 Then we set the SOAP object to SOAP server and handle the request. 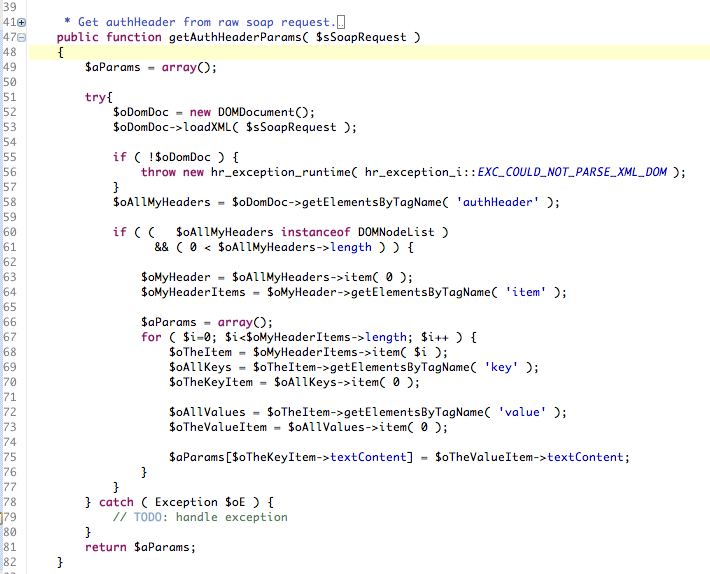 This entry was posted in howto, PHP, SOAP. Bookmark the permalink.